Cake Pops Yay or Nay? 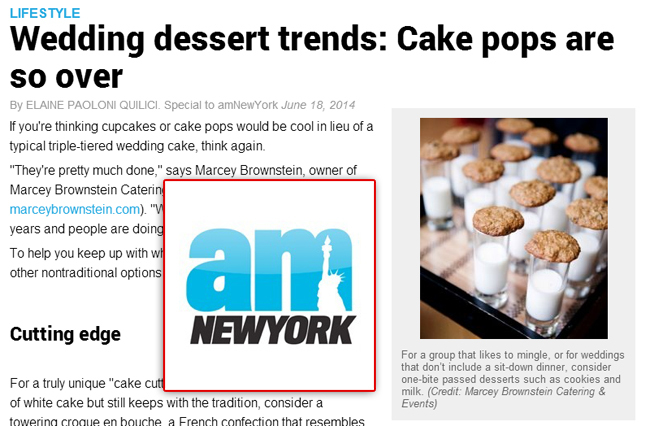 In a recent interview with AM New York, our very own Marcey Brownstein was asked about wedding dessert trends and when asked about the super popular Cake Pop, Marcey said, “They’re pretty much done.” Find out what Marcey says the next big thing is in dessert decadence. Read the full article here.